Clients for this master bath remodel chose a Carrara theme and a local supplier helped choose the color and pattern for the shower floor. 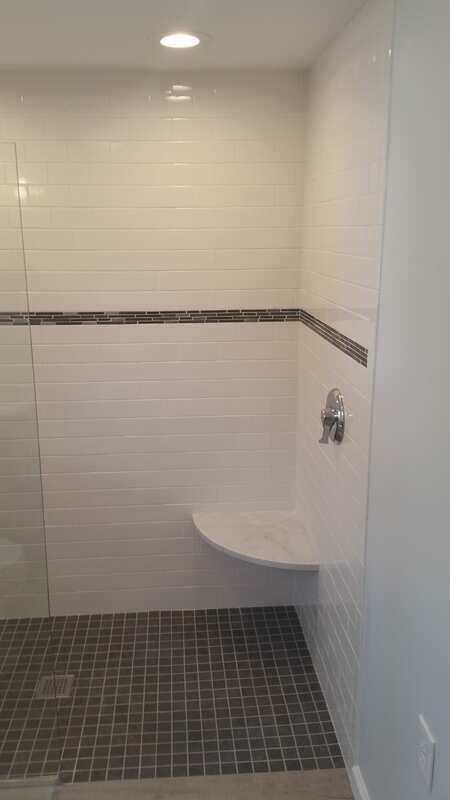 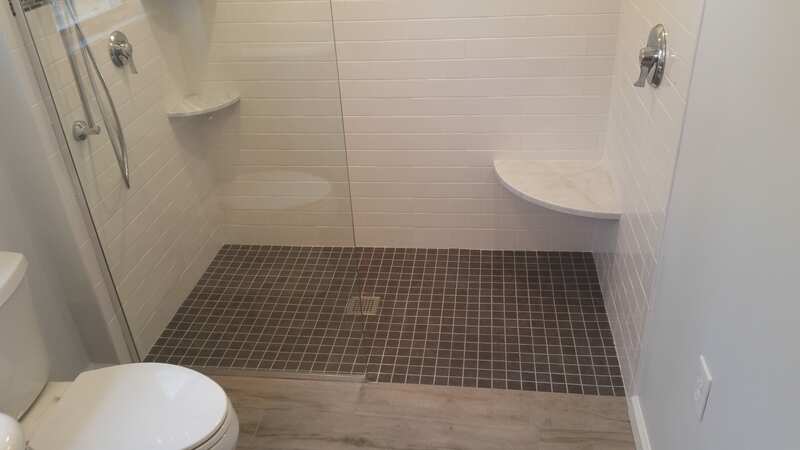 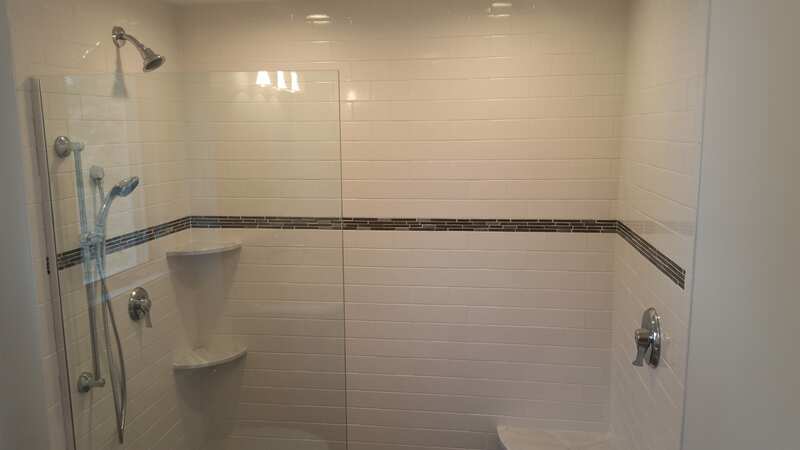 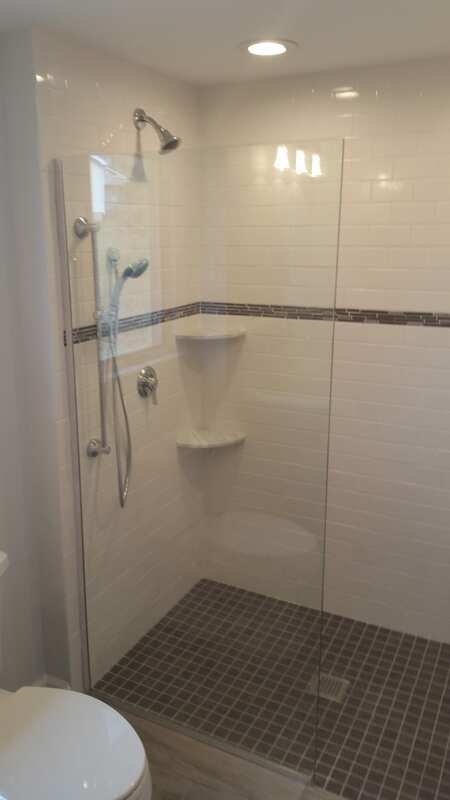 The shower walls are 3 x 6 Carrara subway tile and the floor tiles are 12 x 12 laid diagonally. 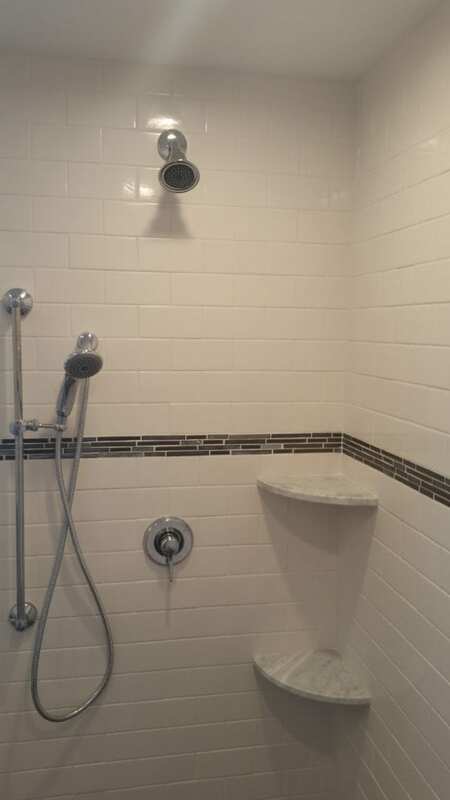 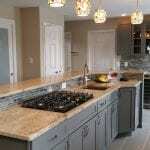 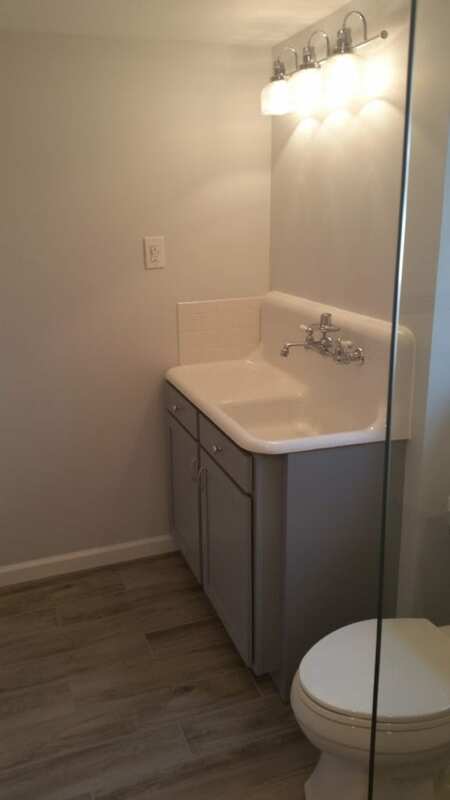 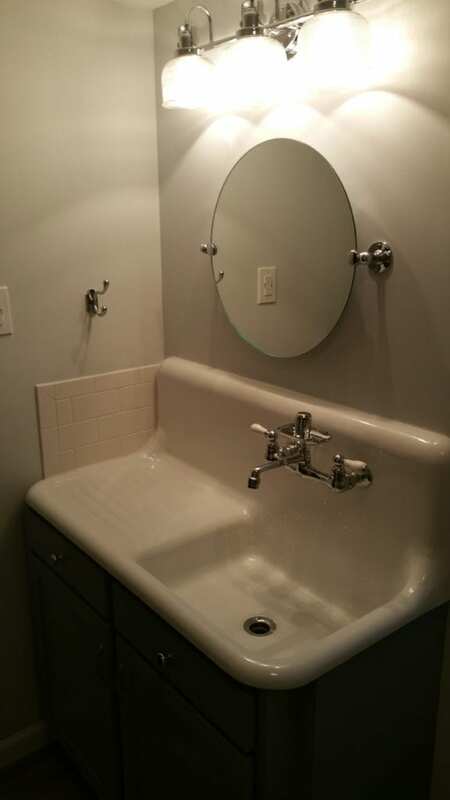 Single lever chrome faucets and chrome fixtures complete the design for a nice new bathroom.